Brumbies skipper Ben Mowen has come up with a novel way of keeping Christian Leali'ifano's penalties accurate ahead of their Super Rugby play-off against the Chiefs on Saturday - for every kick Leali'ifano misses he has to buy Mowen a beer. The Brumbies saw off the Western Force last weekend but Mowen wants his kicker to improve his accuracy ahead of Saturday's match against the Chiefs. Leali'ifano's accuracy rate is currently at just 49%, a figure well down on last season's 78%, and after he missed his first conversion attempt in their win over the Force, Mowen informed his kicker than for every other missed shot at the posts, he owed him a beer. "He owes me about three schooners," Mowen said post-match but on Monday the Brumbies captain has increased the odds. 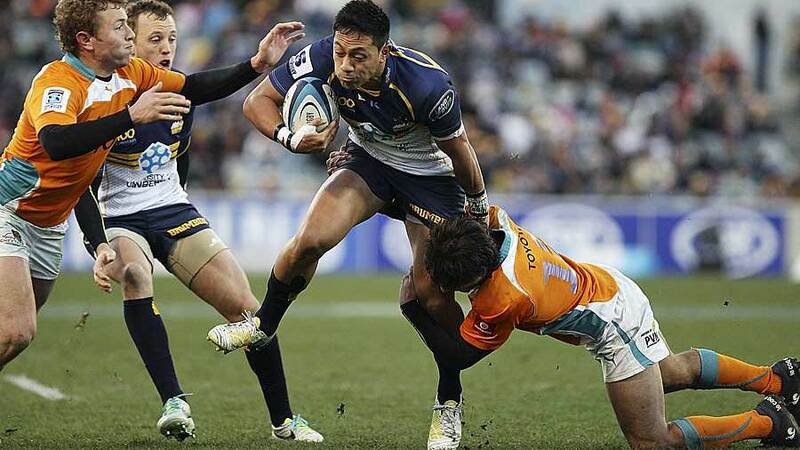 "We've just doubled it," Leali'ifano said. "We said double or nothing if [Mowen] kicked one from 40 metres and he just kicked it out there in training. So I now owe him six." Leali'ifano had ankle surgery in the off-season but he has played down suggestions this is why he is struggling for accuracy this season. "It's something I've got to work hard at - mentally trying to relax," he said. "But, when the boys are running over scoring tries, you do relax a little. I feel as though I'm hitting them well, just need a little bit of luck." And Mowen has backed Leali'ifano to shine on Saturday. He said: "You just keep handing him the ball because you trust him - he's won so many games off the back of his boot. His best kicking is just about to come. If he missed every kick all year and starts getting them now that's perfect."